For the past week, Hong Kong has been raining cats and dogs! I guess most of us have been stuck in the office or struggling with exam revisions in this gloomy weather, just dreaming about the summer breeze and planning a tropical getaway in our heads! I’m just dying to go out on a dreamy escape, away from this depressing weather! Well good news! The PANDORA High Summer Collection 2015 could give us that little break from reality that we need from time to time. With their Dreamy Escape collection, I could imagine myself lying on sandy beach and feeling the warm ocean breeze on my face! Simply seeing the images of the charms induces this Summer Dream! World-renowned Danish jewellery brand PANDORA has planned a fantastic dreamy getaway for you this summer! Picture yourself on a white sandy beach surrounded by tall palm trees swaying in the warm tropical wind. 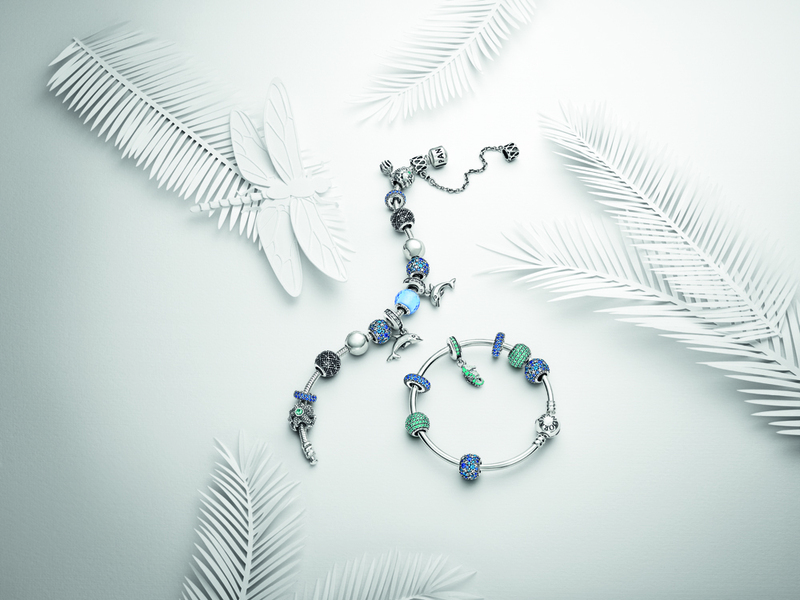 PANDORA’s new Summer Collection 2015 is inspired by these images – the colors of the dazzling emerald sea and limitless blue summer sky. Adventure into PANDORA’s new exotic jewellery oasis of vibrant colours and ethnic symbolism that allow you to dream away this summer! 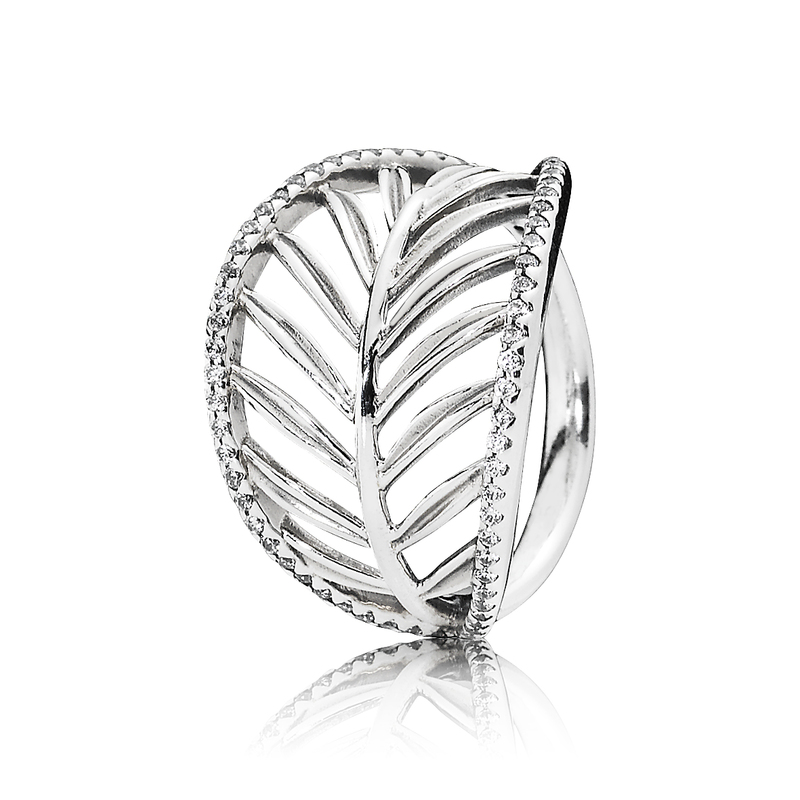 Depicting a sun-kissed tropical journey, PANDORA presents the symbol of the season – a lush palm leaf is presented as stunning silver cut-out silhouette in hand-finished sterling silver. The matching openwork palm leaf pendant and statement ring are intricate, abstract and beautiful. The artistic pieces glisten in the rays of the sun with accentuated outlines of hand-set cubic zirconia stones. In addition to the adorable sparkling palm tree dangling charm, the popular palm leaf motif with cut-out silhouettes is also offered in highly crafted charms and available in sterling silver or 14k gold. An ideal match with the palm leaf pendant and statement ring to immediately add glamour to any outfit and inject some sizzling summer vibes into your style! PANDORA embraces the summertime in vivid and dazzling colours, and prolongs the blissful summery radiance with glittery pavé charms. From new vibrant blue and oceanic green leather bracelets to PANDORA’s new summer charms which sparkle with pavé mosaics and faceted synthetic quartz in a palette of sea-foam green and heavenly blue hues. Inspired by the glamorous grace from old black & white movies, PANDORA launches a stone studded, hand-finished bangle to echo with the popular vintage trend. With multiple lavish shimmering bead-set stones enhanced by milgrain details and an elegant row of cut-out hearts, the glittering design of the bangle symbolizes the point when precious memories of the past meet new moments. Wear as a single statement piece or maximize the glitter effect by styling multiple bangles together for an on-trend multi-layered glamorous look. Surround yourself with the flora and fauna of the tropics, in particular PANDORA’s new pretty in purple orchid charms. 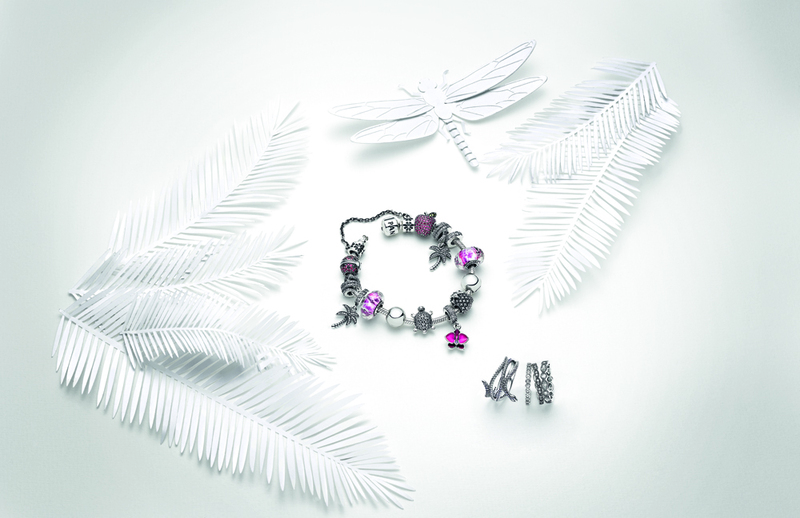 The perfectly crafted purple orchid sparkles under the sun and sets off your bracelet beautifully. PANDORA has introduced the tropical vacation inspired bracelet this summer 2015, allowing you to wear the breezy, sultry vacation on your wrist at all times. The snake is also one of the most significant creatures frequently found in exotic regions, and PANDORA transforms this intimidating animal into an enchanting statement ring and matching charm. Crafted from silver, cubic zirconia and black stones, these on-trend pieces are a new take on serpent chic and are perfect to cool down the summer.